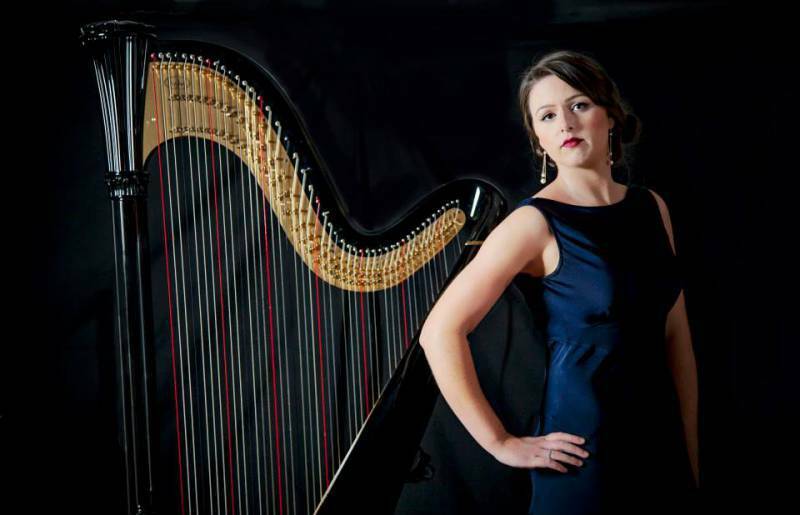 "Welcoming notes for our guests"
"Rhianwen exceeded our expectations, having her play the harp at our wedding made..."
* Has performed at prestigious venues such as the Royal Albert Hall, Buckingham Palace, The Sage- Gateshead, Salvi Harp Showrooms - London and The National Gallery. 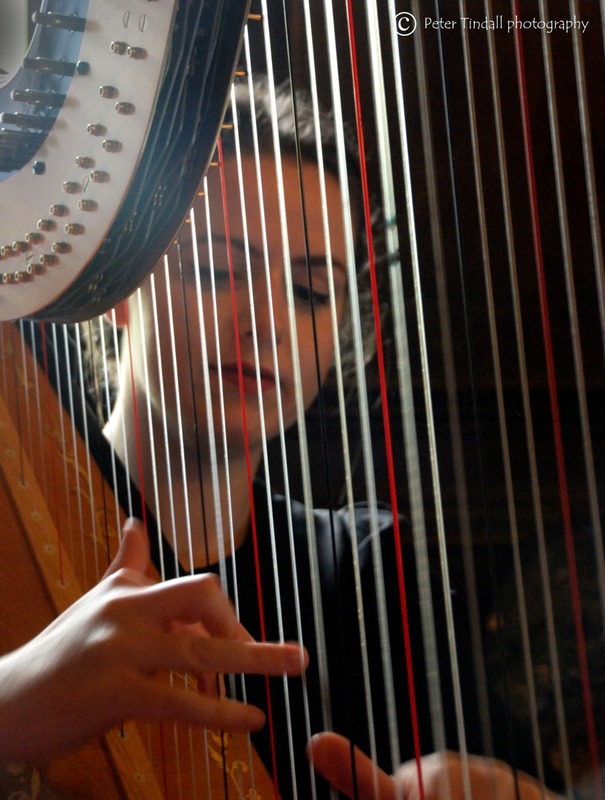 Whilst studying in London The Function Harpist gained her BMus (hons) DipABRSM and LRSM performance certificates.  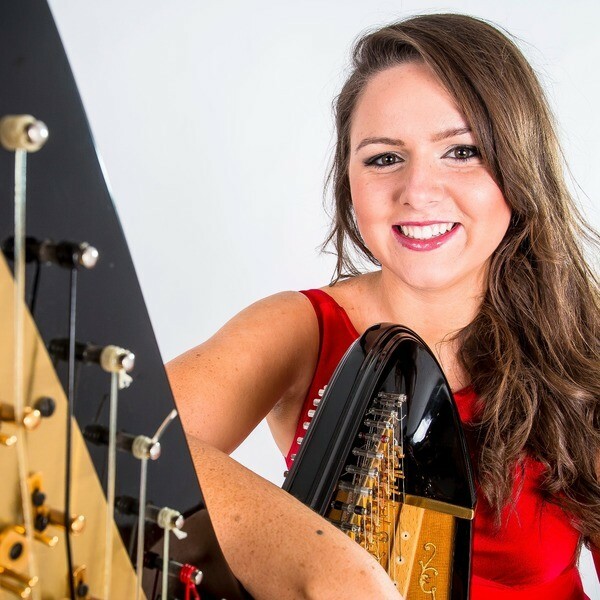 She has played in many prestigious venues and events all over the UK and further afield, including the Royal Albert Hall, Buckingham Palace, Wales Millennium Center, Rio de Janeiro Arts centre etc. 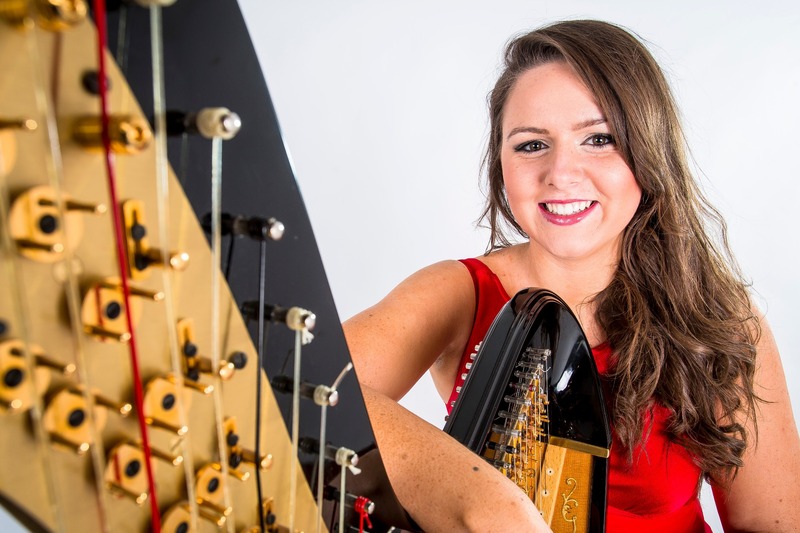 The Function Harpist has played for Her Majesty the Queen on several occasions, HRH Prince Charles and the Duke and Duchess of Cambridge. 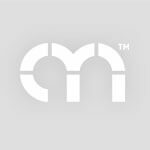 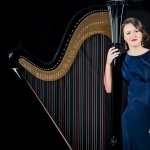 The Function Harpist has orchestral experience, performing as principle of the RCM Philharmonic Orchestra and Symphony Orchestra. 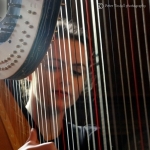 The Function Harpist has performed as a soloist at such venues as The Sage- Gateshead, Salvi Harp Showrooms- London and The National Gallery. 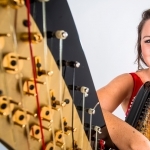 She has also played in many ensembles and duets performances nationally, including duet performances with Catrin Finch and Elinor Bennett In 2009 Rhianwen played for a TV documentary accompanying Bryn Terfel and over the years has played on many occasions for Only Men Aloud Male voice choir, Eirian Owen with Cor Godre’r Aran (Director of Cor Godrer Aran – internationally successful Welsh Male voice choir) and Brythoniaid male voice choir. 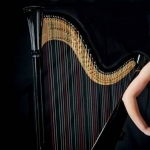 The Function Harpist has played several times with world renowned harpist Catrin Finch and for celebrities such as Charlotte Church, Stella McCartney and the Mayor of London. 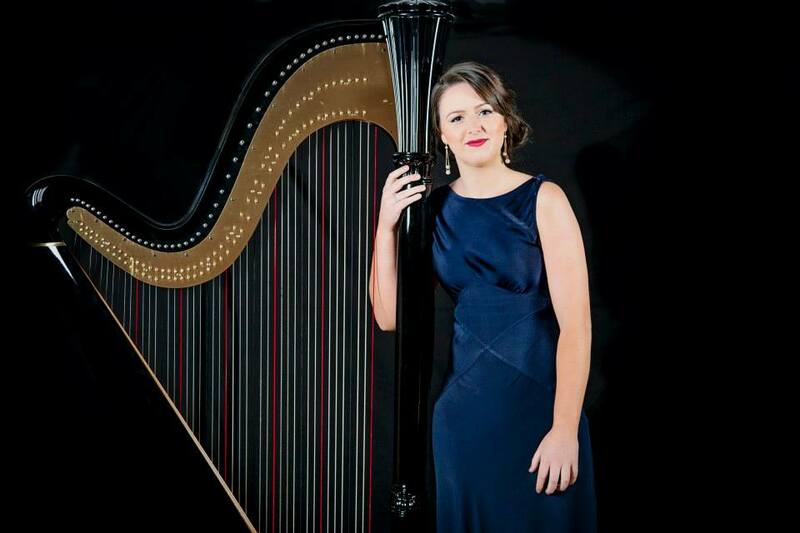 Rhianwen has recently performed in countries such as China and Brazil whilst being the Queen Elizabeth resident Harpist for Cunard.